On January 6, 1540, Henry VIII married Anne of Cleves. The marriage was postponed by two days because of the King of England, and lasted just six months. On January 6, 1540, Henry VIII married for the fourth time. It took two and a half years after the death of his favorite wife, Jane Seymour, and was not a marriage he really wanted. Despite believing that the German princess was beautiful, Henry VIII soon found a distaste for Anne of Cleves and the marriage only lasted six months. The wedding was initially supposed to take place on January 4, but Henry VIII desperately wanted to find a way out of it. However, by the night of the next day, he knew that he had no choice. Poor Anne had no idea about the truth behind the delay, but she handled the six month marriage and subsequent annulment with grace; something that helped her in the future. Henry VIII surprised Anne of Cleves on New Year's Day and was not happy with the outcome. Henry VIII was to marry his fourth wife on January 4, 1540. She had sailed from Germany to England, arriving on New Year’s Day. Henry was so eager to meet his new bride that he arrived early in disguise. Poor Anne had no idea who the man was and refused his advances. Really, Henry should have been happy—she was waiting for her betrothed—but he was outraged at the idea this woman had not shown him the proper respect. The problem was that tradition stated that she would see through that disguise because of the strong love between them. It made King Henry doubt the relationship and he instantly found her ugly and unfit to be his wife. He didn’t link to be humiliated! He quickly made the decision that he wanted out of this marriage. He told Thomas Cromwell to find him a way out, and postponed the wedding. Cromwell did find a reason to not marry the woman from Cleves, and it was something that would be used in six months time, just before Cromwell’s execution. However, Henry VIII decided against canceling the wedding entirely. He needed the support of Anne’s brother, and backing out of the betrothal would not do that. France and Spain were allying against England, and Henry could not give the Duke of Cleves a reason to join them. He decided on the eve of January 5 that he would marry his fourth wife. The language barrier and lack of education compared to previous wives of Henry VIII caused problems in the marriage. Unlike his previous wives, Anne had no interest in the passions of Henry VIII. She had not been educated in the way of dance and music. She was raised with needlework lessons and could only speak German. It caused numerous problems for the new husband and wife. While Henry’s previous three wives had learnt needlework, they also had a love for other passions. They would dance at court, and could join in with games of cards with Henry VIII. There was also the ability to have conversations, although this did lead to some issues for a couple of his wives, and some of his future ones! By having no interests, Henry could not find anything to like about his new wife. In Anne’s defense, she certainly tried. By the time she died in the 1550s, Anne enjoyed card games and became a close friend of Henry VIII and his eldest daughter, Mary. The wedding night was also a problem for the King of England. 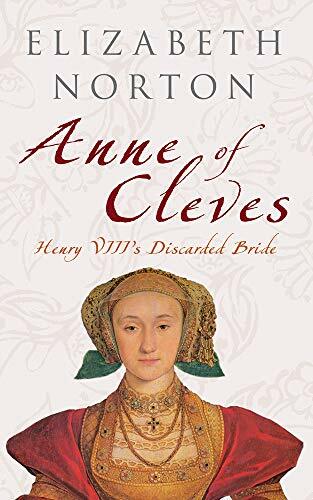 Anne of Cleves was so much a virgin that she had no idea what to do or what consummating the relationship really meant. She believed that just a kiss would make her pregnant! The marriage was never consummated in the end, and Henry blamed the fact that he found her ugly. This actually helped both of them six months later, though. After just six months, Henry VIII decided to look for a reason to divorce his wife. 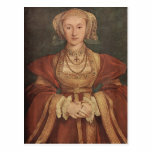 Possibly out of fear, Anne of Cleves agreed to his conditions. Despite being one of the least educated by English women standards, Anne of Cleves was one of the smartest of Henry VIII’s wives. Maybe she had learned from Catherine of Aragon’s mistakes or maybe she simply wanted to make Henry VIII happy, but she definitely made the right decisions. By July 1540, France and Spain had ended their alliance. England was no longer under threat and Henry VIII could lose the Duke of Cleves as an ally. And he did just that by looking into a way to annul his marriage to his fourth wife. The first thing he did was to look back at the reason Cromwell gave him for not marrying her in the first place: her betrothal to the dauphin of France. This was as good as a marriage and made his own marriage to the woman invalid. The fact that he had not consummated it really helped. Anne of Cleves was informed of her options: to allow an investigation and subsequent annulment to happen, agree to remain in England as “The King’s Sister” and receive a salary of £4,000 per year. Of course, she accepted. It may have been out of fear. Anne would have heard about Catherine of Aragon and Anne Boleyn. She must have heard rumors at the time that Henry VIII was looking to marry one of her ladies-in-waiting, something that happened to his first and second wives. 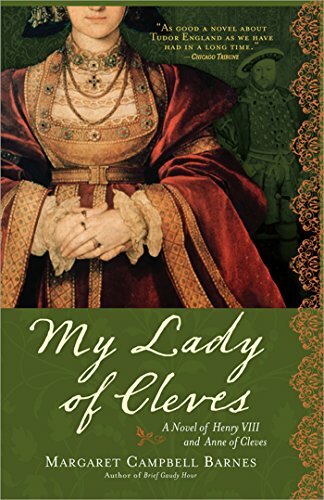 The question would have been what would happen to Anne of Cleves? Would she end up with a fate like Catherine or would she lose her head like Anne Boleyn? Giving the options it makes sense that Anne of Cleves would agree with her husband instantly. This would have made Henry VIII ecstatic and he spent time writing back to her to confirm her allowance and properties. 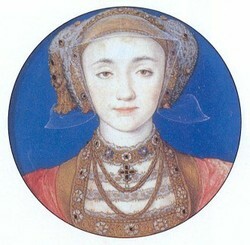 Henry was now free to marry Kathryn Howard, and Anne of Cleves became one of the wealthiest women in England. She was even allowed to attend court and remained close friends with bother Mary and Elizabeth Tudor. Despite the rhyme “divorced, beheaded, died; divorced, beheaded, outlived” making many believe that only Katherine Parr outlived Henry VIII, Anne of Cleves was the luckiest of all. She lived until 1557, when she died of a prolonged illness, 10 years after the death of Henry VIII. She definitely made out the best out of the bunch.